This PhD research trialed an approach to identifying the potential impacts of extreme rainfall events associated with a changing climate on the mining industry at a country and regional level in South America. Peru was selected as a case study, due to its relevance as a mining country and past vulnerability to extreme rainfall events and subsequent floods. 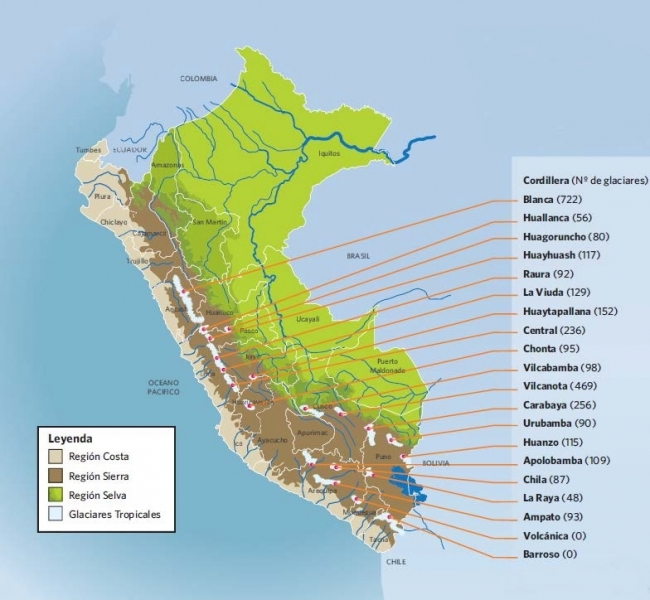 During this research, mining regions across Peru with differing potentials of being affected by extreme rainfall in the next few decades were identified via analysis of global climate projections for precipitation extreme indices. Documented case studies of mining projects in Peru that have been designed to cope with, or have been affected by extreme rainfall episodes were also studied. Findings pointed out an increasing vulnerability to extreme rainfall events in the regions of Ancash, Junín and Pasco, with significant zinc and silver reserves that may be compromised in future mining projects. Cajamarca and La Libertad (more than 80% of gold reserves combined) show less signs of increasing vulnerability to potential extreme rainfall impacts. For Arequipa, Moquegua and Tacna, regions with significant copper reserves, a decrease in projected extreme rainfall events is observed. This in term could lead to an eventual decrease in total precipitation and consequently a deficit in water availability during the next three decades. It is recommended that mining companies in the identified regions should take this information into account in decision-making about design and planning considerations for current and proposed new mining projects or extensions, taking into account impacts from the social, financial and environmental perspectives. This research also provides information for government bodies in charge of regulating and promoting mining activities at a country and regional level. The approach used for this research could relatively easily be extended to other locations in Peru and South America. Disposition of the main three climatic zones of Peru (UNFCCC, 2010, p.40).